Brittany has been Dr. Ghibu's practice administrator for the past 11 years and specializes in patient coordnation and insurance benefits. Her favorite part about working in the office is being able to guide patients and provide them with the best treatment options. 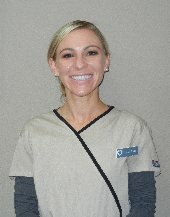 Brittany loves being able to make the patients feel comfortable and happy with their care. 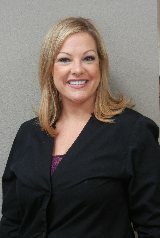 She has over 17 years of dental experience, including dental assisting and oral surgery surgical assisting. During Brittany's free time she enjoys camping, paddle boarding, and going to the river with her husband and daughter. Sandra graduated with her degree in dental assisting in 2007 and has been working with Dr. Ghibu since October 2010. She loves seeing our patients leave with a smile at the end of each visit. Sandra was born and raised in southern Orange County and enjoys spending all her free time with her two small children and her family. She also enjoys barbeques on the weekends, gatherings with close friends and family, walks to the park, and going to the beach. Laura graduated with a Bachelors of Science degree from the Utah College of Dental Hygiene in 2008. She has been working with Dr. Ghibu since September 2014. Laura's favorite part of being a hygienist is getting to know her patients and helping them develop a hygiene home care plan that can become a routine. Laura grew up in Southern California and married her high school sweetheart with whom she has two young children. In her free time Laura enjoys spending time with her family and doing outdoor recreational activities.